Can Non-Degree Seeking Students Take Upper Level Graduate Courses In Accounting? As you complete your graduate or undergraduate studies, you may find that you become interested in taking upper level courses in another field, such as accounting. Graduate or upper-division courses in accounting are beneficial to students of many disciplines, since they are very applicable to the current job market. However, there are some restrictions on who can take these courses. Can I take Upper Level Accounting Courses? Most spots in an upper level accounting course are reserved for graduate students of that field. This is done both to help the students both inside and outside the program. Remainin selective means that all of the students in the program can get seats in the class without fighting outside students. It keeps the level of discussion high, since everyone in the class will be very knowledgeable about the topic. The restrctions on non degree seekers are meant for their own benefit, too. Universities want to prevent students from taking classes that they are not prepared for. If students take classes that are too advanced and unrelated to their majors, they must spend a lot of time preparing for the class and it takes away from the focus of their own majors. This can be especially counterproductive in a graduate study, when the course of study is supposed to be very narrow and focused. These things said, there are usually restrictions that prevent non degree seekers from taking upper level courses in another field. However, under the right circumstances, these bans can be lifted. There are a few exceptions that will allow non degree seekers to take upper level courses. These vary by school, and special cases may be made for individual students. Some schools allow students to take courses in other disciplines if their undergraduate degree was in that discipline. Presumably, these students have a decent amount of background knowledge on the subject in order to keep up with the class. Students who have applied to the program in that field of study but not yet been accepted are sometimes also allowed to take upper level graduate courses. Finally, some schools will make exceptions for students who show an extraordinary background in the subject of interest. The student may have taken several related courses already or had some previous work experience in the course. Talking with the dean or the professor of the class is the place to start if you are interested in this kind of exception. All schools will differ in their individual policies about non degree seeking students taking upper level courses in other fields. For specific information, you should check with the school you are enrolled in and look at the specific department’s website. But for comparison, here is an example of a school’s policy on this issue. Policies related to non degree students taking graduate or upper level courses in another field are put in place to protect the school, the students in the degree program, and the non degree students. Generally, this means that students will not be allowed to take courses in another field unless they show an exceptional background in the discipline. If you feel that you meet the criteria for taking a non degree course, talking with an academic advisor can help you plan your next steps. 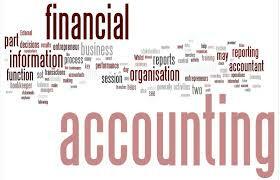 Here is a look at the “Top 10 Best Online Accounting Degree Programs 2013“.